Alabama Land Services, Inc. is Northwest Alabama’s oldest, family owned land title company. 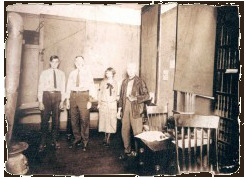 We started out as Lauderdale County Abstract Company in 1887. The company’s primary business was to provide land abstracts for the growing community of Florence, Alabama during the economic boom of the late 1880’s. The company has operated continuously since it first opened its doors in 1887, surviving the Great Depression, numerous recessions, wars, and a fire to become one of the oldest businesses in the Shoals area and a standard for land title work in northwest Alabama. Alabama Land Services is a combination of old and new. The land indexes begun in 1887 are still used today in conjunction with computers and software accessing the automated title plants. The purpose of title work has changed little since 1887, but the methods used and the products produced by Alabama Land Services have changed greatly. Abstracts, the company’s first product and once widely used in land conveyances are now almost obsolete. In the late 1970’s Alabama Land Services led the way in the issuance of Owners Title Insurance, providing the real estate buyer a far superior product to land abstracts in title protection. In 1995, Alabama Land Services was again breaking new ground by becoming one of the first land title companies to conduct real estate and loan closings in the Northern part of the state. This economical service had, until 1995, only been offered to consumers in larger Alabama cities. With the entry of Alabama Land Services into the market, customers were afforded a convenient and economical alternative in conducting real estate/loan closings in the Shoals area. As an active member of the American Land Title Association (ALTA) and the Southeast Land Title Association (SLTA), we work hard to ensure a legal and efficient transfer of real estate by keeping our business appraised of current industry practices, state, and national laws. What makes Alabama Land Services better than the competition? We are a corporate title agency capable of explaining title issues in layman’s terms. We rely on our experience, automated title plants, friendly and knowledgeable staff members, and our commitment to excellence. You can count on Alabama Land Services for efficient, economical, and professional land title services. If you are planning on buying, selling or refinancing real estate in the area, you will want our help. Alabama Land Services has been providing title services to the people of the northwest Alabama area since 1887, and we are eager to help you.